Will Ferguson & Associates maintains an office on Albuquerque’s West Side at 333 Rio Rancho Blvd NE #105 Rio Rancho, NM 87124, to serve people living on Albuquerque’s West Side and in Rio Rancho. For clients who can’t conveniently access our Louisiana Boulevard main office, the West Side office is a time saver. “We know what traffic can be like trying to get across the Rio Grande during certain parts of the day,” said Will Ferguson, the law firm’s managing partner. 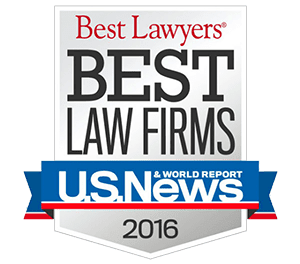 “Albuquerque is growing to the west and we’re growing along with our city,” said Ferguson, who manages the firm’s ten attorneys. From the intersection of Coors and Alameda Road/N.M. Hwy. 528, our West Side office can be reached by traveling south on Coors Road. It’s two traffic lights south, on the east side of the street. From northbound Coors, our West Side office can be reached by bearing right where Coors intersects with Coors Bypass south of Cottonwood Mall. Our office is on the right at the intersection of Coors Road and Seven Bar Loop. If you’d like to make an appointment at our West Side office, call (505) 633-0750 and arrange for a free evaluation of your personal injury case.